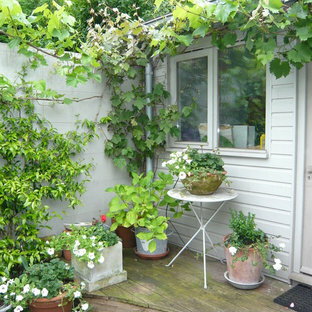 This is an example of a medium sized traditional back terrace and balcony in London with no cover. 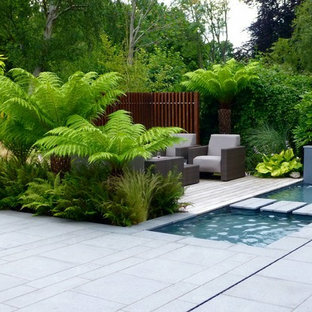 Design ideas for a medium sized contemporary back full sun garden for summer in London with a water feature and natural stone paving. 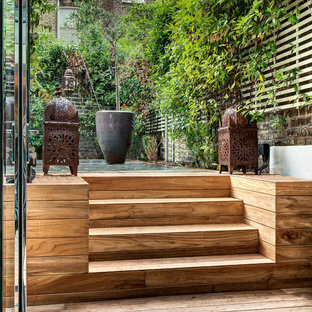 This is an example of a contemporary back patio in London. 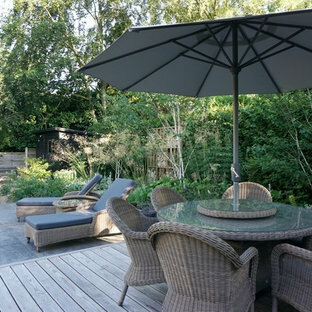 The garden furniture is placed to make the most of the evening sunshine. Design ideas for a medium sized classic back terrace and balcony in Cheshire. 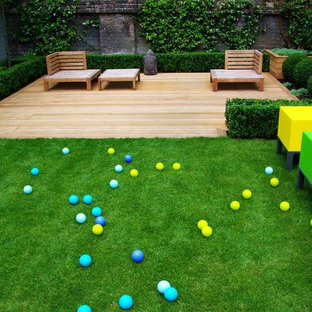 Inspiration for a small classic back formal garden in London with a potted garden and decking. This is an example of a medium sized world-inspired back terrace and balcony in London with a living wall. 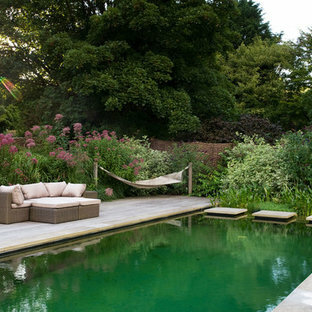 Traditional back rectangular natural swimming pool in Sussex with decking. This is an example of a classic back patio in Hampshire with no cover. 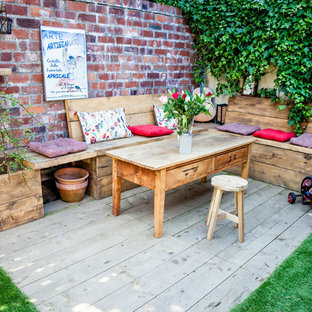 Design ideas for a medium sized shabby-chic style back garden in Glasgow with decking. Beach style back rectangular lengths swimming pool in Sussex with decking. 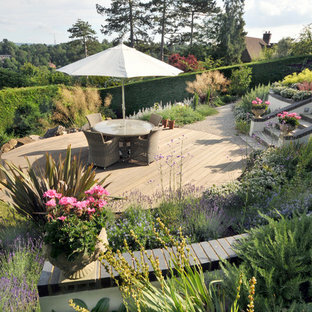 Inspiration for a contemporary back terrace and balcony in Surrey. Design ideas for a classic back formal garden in Other with a garden path and decking. Design ideas for a contemporary back terrace and balcony in Chicago with an outdoor kitchen. Design ideas for a contemporary back swimming pool in Chicago with tiled flooring. 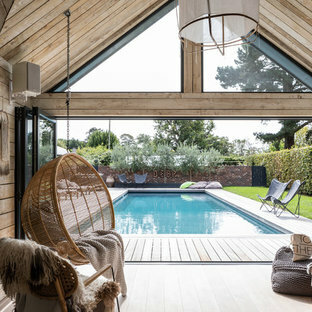 This is an example of a world-inspired back garden in Sydney with decking. Design ideas for a contemporary back patio in San Francisco with a fire feature, decking and no cover. By Coastal Gardens Landscape Services, Inc.
Design ideas for a world-inspired back terrace and balcony in Tampa with a water feature and no cover. This is an example of a contemporary back patio in Los Angeles with concrete paving.